While some brands remain committed to the V12 engine, like Aston Martin, many are beginning to phase them out of their lineups, like Mercedes-Benz and Audi. But not BMW—the company claims the V12 BMW 7 Series sells so well they’re at max capacity. 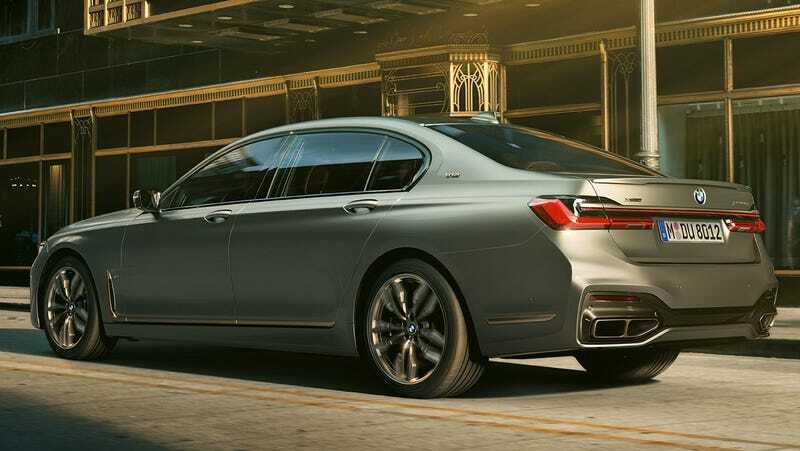 Christian Metzger, product chief of the current 7 Series, told Top Gear that the automaker has been at max capacity building the engines for the M760Li V12 since it was launched. “We will keep [the V12] for the rest of this generation at least, until 2023,” Bayer told TopGear.com at the launch of the refreshed, renosed 7 Series. Surely, TG countered, that’ll be the final curtain call? Evidently the V12 is a big hit in the Middle Eastern and Chinese market, even despite higher taxes on bigger engines in China, Top Gear reports. But keeping the engine feasible as more markets shift to stricter emissions and efficiency regulations will likely ultimately spell doom for V12s in the future, as smaller engines outfitted with turbo and superchargers will likely offer similar power while managing to be more efficient. But at least we have another four years of the BMW V12, or maybe more. And we’ll see how far the other companies can keep the V12 around. It’s not all bad just yet.